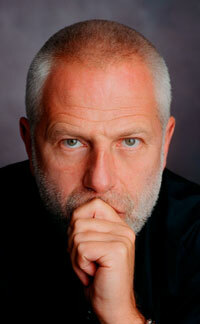 Pianist and conductor Vladimir Feltsman is one of the most versatile and constantly interesting musicians of our time. His vast repertoire encompasses music from the Baroque to 20th-century composers. A regular guest soloist with leading symphony orchestras in the United States and abroad, he appears in the most prestigious concert series and music festivals all over the world. Born in Moscow in 1952, Vladimir Feltsman debuted with the Moscow Philharmonic at age 11. In 1969, he entered the Moscow Tchaikovsky State Conservatory of Music to study piano under the guidance of Professor Jacob Flier. He also studied conducting at both the Moscow and Leningrad (now St. Petersburg) Conservatories. In 1971, Vladimir Feltsman won the Grand Prix at the Marguerite Long International Piano Competition in Paris; extensive touring throughout the former Soviet Union, Europe and Japan followed this. In 1979, because of his growing discontent with the restrictions on artistic freedom under the Soviet regime, Vladimir Feltsman signaled his intention to emigrate by applying for an exit visa. In response, he was immediately banned from performing in public and his recordings were suppressed. After eight years of virtual artistic exile, he was finally granted permission to leave the Soviet Union. Upon his arrival in the United States in 1987, Vladimir Feltsman was warmly greeted at the White House, where he performed his first recital in North America. That same year, his debut at Carnegie Hall established him as a major pianist on the American and international scene. A dedicated educator of young musicians, Vladimir Feltsman holds the Distinguished Chair of Professor of Piano at the State University of New York, New Paltz, and is a member of the piano faculty at the Mannes College of Music in New York City. He is the founder and Artistic Director of the International Festival-Institute PianoSummer at SUNY New Paltz, a three-week-long, intensive training program for advanced piano students that attracts major young talents from all over the world. Vladimir Feltsman's extensive discography has been released on the Melodiya, Sony Classical, Music Masters, and Camerata, Tokyo labels. His discography includes eight albums of clavier works of J.S. Bach, recordings of Beethoven's last five piano sonatas, solo piano works of Schubert, Schumann, Chopin, Liszt, Brahms, Messiaen and Silvestrov, as well as concerti by Bach, Brahms, Chopin, Tchaikovsky, Rachmaninoff, and Prokofiev. Vladimir Feltsman is an American citizen and lives in upstate New York.